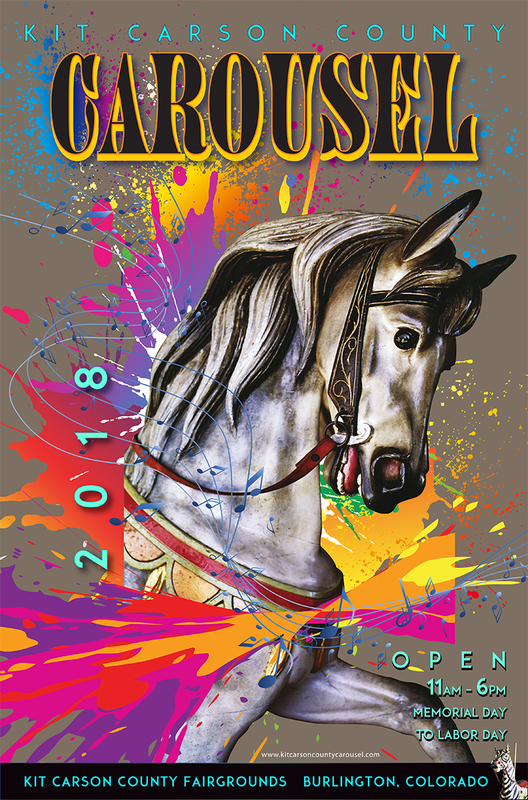 The world-famous Kit Carson County Carousel and museum will open Saturday, May 26 for the 2018 season. The 113 year old Merry Go Round will spin daily throughout the summer from 11 a.m to 6 p.m. Rides are on the hour and half-hour with ample time in between to take photos of your favorite animal, visit the museum or ooooh and ahhh over the many items in Hoofbeats, the carousel gift shop.